Do we really need another 738??? How about a 757??? Finally we wouldn't have to fight for Revell overpriced 737s I only hope it comes with extended flaps like the A320/321 yepppy!!!! jumping 4 joy.... would also like to see a 757 on Zvezda's list too!!!!! Wow, I didn't see that coming. Maybe it is just the Revell kit reboxed. If not, let's hope they will release it as an ultimate kit and with the latest winglets. That would at least add some value to the current models available. Just wait patiently Ahmed, I have a feeling that over time Zvezda will release every passenger jet that Boeing produced. It doesn't seem to matter if there has been a kit of a particular or not. And where is the 757???? This is great news but I'm dying for a 757! If it's a completely new mold, I hope they get the winglets correct...and include Scimitars. A 737-900 or 700 but another 800? Same thing with the A320? At least somehow "new" plastic! In my very own opinion another very useless kit and a waste of talented Zvezda resources. Owning the Authentic Airliners 737-6 -7 -8 and -9 as well as four of Kurts amazing 757 there is nothing more to ask for. What I am eagerly waiting for is the Zvezda flap-down IL-76! I'd be more happy if Zvezda would announce a TU-114 or a top-quality IL-18. Great news! The main hope for the right to make the engine! Here, I think Zvzezda made at the highest level! I'd be really curious to know what sorts of market research the product teams do before launching these, I used to do consulting for this sort of stuff, and we tested all sorts of different options. Well I think there is everything to ask for - namely much lower cost and more readily available. I for one am looking forward to this release. There are a whole host of colour schemes to choose from. In time perhaps a decent injection moulded 757 will come. If speaking of another 1/144 injection molded 737-800 kit, perhaps yes. Seems like the Revell kit has vanished altogether aside from an occasional appearance on the secondhand market (ala ebay) at steep prices and the Hasegawa boxed version of the same kit, which seems to have become equally scarce. Even if Revell were to re-release their 1/144 737-800, new-tool plastic of typical Zvezda quality would be a welcome alternative to the okay-but-not-great quality of the Revell kit. Well I think this is good news! I do not longer have to spend hours to at least make the Revell engines look correct and I only buy full resin kits when no other options are available. Also, I totally agree with Marco. Let's just appreciate every airliner kit on the market, some competition is never a bad thing. From the box art view, it appears to have the more rounded engine intakes; I'm struggling to re-shape the 'flat-tire' intakes of the Revell -800 kit...not much fun. There's only one engine type for the 737NG. You can't say the Zvezda's will be correct based on a generic photo, it's not a box art yet. 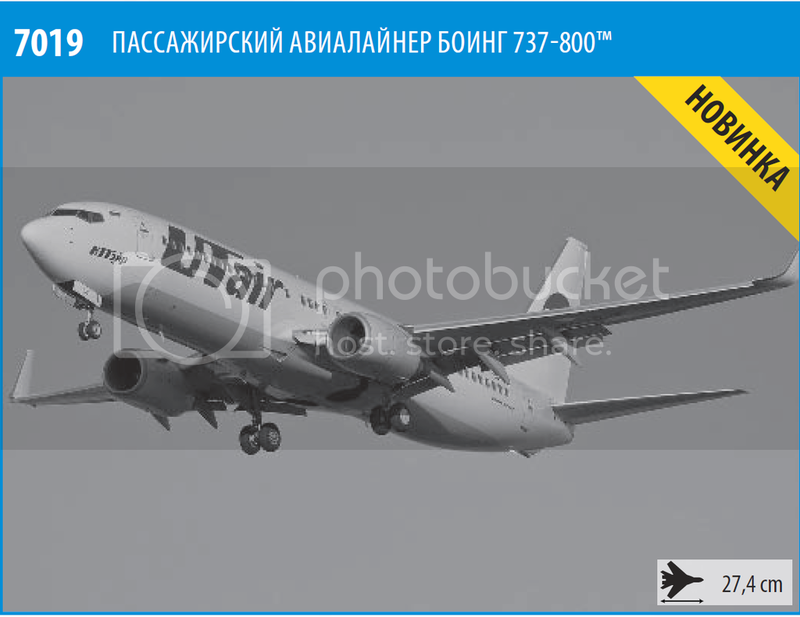 That's a photograph of a real 737-800, so I'd hope it would be "accurate" enough! As to what the kit parts will look like, we haven't seen them yet. For some reason I was under the impression that the DACO kits were 737NGs, so, in that case I guess an accurate 737-800 is welcome. I know the Revell kit has some issues. Speaking of the DACO 737 (-300, -400, -500) kits and veering somewhat off subject; have the DACO mid-gen 737 kits become about as scarce as the 1/144 Revell 737-800... if not even more so? They seem to have become virtually 'extinct' in the U.S. They were becoming quite rare but they were re-released about 2 years ago including airline liveries (Air Baltic for the -500, Brussels Airlines -400 and Simpsons WP -300), with a slightly higher price. Their availability is OK on this side of the ocean. I assume that Danny is delivering them to the US as well? I recently ordered two of his 737-300 directly from his website and am building the Lufthansa 737-300. These models are great kits and highly recommended. The Eastern express 757's are here and at least better than the MC kits. "Better than the MC kits" isn't exactly saying much. The EE 757s are still poor and nowhere near the quality that Zvezda would produce. From their FB page. Comes with all three types of wing tips/winglets! Amazing. Pity they don't include the sharklets for their Airbus A320 range. I wonder will they offer the -7BE version of the engine with its different exhaust. Not sure if there is a link between the type of winglet and engine choice but I imagine the airlines that fit the split scimitar style will have the performance improved engine. Three types of wing tips, two types of cockpit glazing and two types of APU cowls will be provided in the kit. According to available information winglets will be remade from MAX type to NG scimitars. I'm curious about "two APU cowls" - As far as I'm aware, all 737NGs have the exact same APU setup. 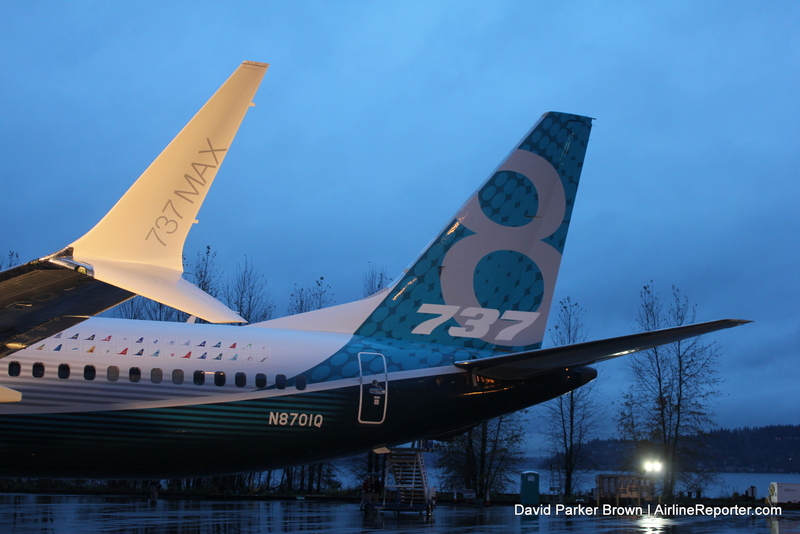 The MAX is completely different, but it's more than just the APU cowling . The entire Section 48 fuselage structure is different (among the many other changes). pinky coffeeboat :I wonder will they offer the -7BE version of the engine with its different exhaust. If they don't, it's literally a matter of cutting off the aft end of the hot section along a panel line, thinning down the lip, and Bob's your uncle. They say that they found photos of NG with the classic type of APU. Yeah thats true but if they're going to the effort of providing the differing APU styles they may actually get the engine exhausts correct too. The Google translate of the Pas Decals forum is always 'fun' to read!! The Google translate of the Pas Decals forum is always 'fun' to read!! Google translate is fun by its nature. Hmm... I'd need to see photos to prove that. Certainly every one of the early line numbers (737-700s that went to WN) had the standard NG type when delivered. I hate to tell them, but the split scimitar winglet they're showing in the image above is the MAX style, not the one fitted to the NG. The smaller downward pointing winglet on the NG is smaller, and has a narrower chord than the MAX type. The winglet shown in the CAD render is also missing the "swoosh" where the end of the winglet fairs backward (both upper and lower winglets). This is the MAX winglet. Completely different from the NG. I think it would be much more logical for them to release a MAX as a new kit. BTW, I am a bit surprised that the aftermarketers haven't jumped on that yet. HINT...HINT! However, Zvezda seem to only produce what Aeroflot fly/flew. Yes, there exceptions like the 748 but unless they have ordered the Max version (no idea, have they?) It may be some time before we see this latest 737. Dan, I would have done so already, but I do not have correct data about engine size, landing gear updates and the reshaped tail section. I think it would be much more logical for them to release a MAX as a new kit. Given that there are nearly 10,000 737NGs in service, and exactly zero 737 MAX in service, I'd say it makes *perfect* sense for them to do the NG!